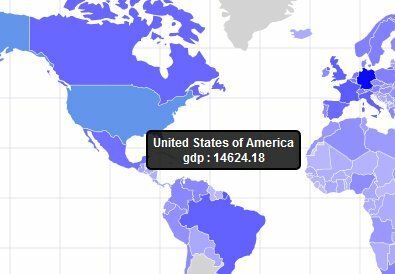 With the latest release of InfoCaptor Enterprise Dashboards, you can now easily build visualizations using vector maps. 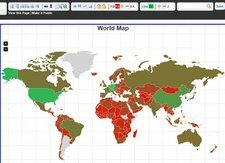 Without the maps, you would usually view the countries or states within the country either on a bar chart or line chart. 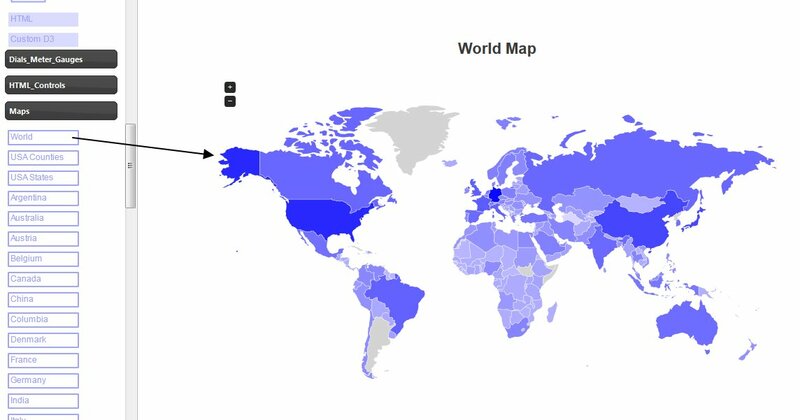 But now you can plot them on the geographic map with simple drag and drop. A separate collection of maps is included in the left panel where you can simply drag to your dashboard. There are around 28 maps included in this release. 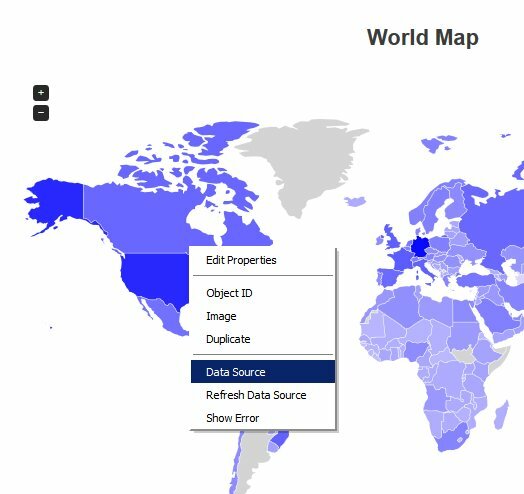 As you see, the default map is seeded with some data and it automatically does the color mapping to build the so called "cloropleth" visualization. 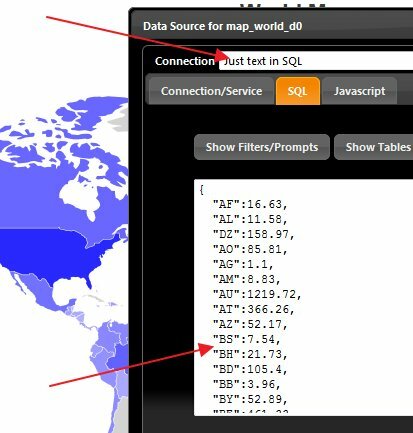 Right click on the map and select "Data Source"
How to provide data for the map visual? The JSON contains the two letter country code and the value corresponding to it. 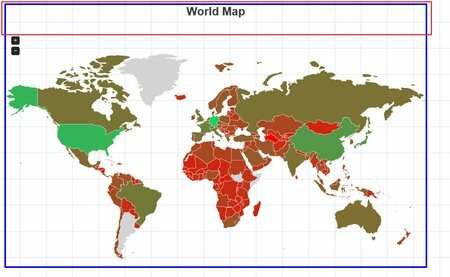 You can simply edit the values right here and it will update the map accordingly. So this is static way of providing data, what if your data is stored in a database table? That is also doable and quite easy. Just provide the SQL query that has the first column as the country code and second containing the value. Make sure your table contains the two letter country code. 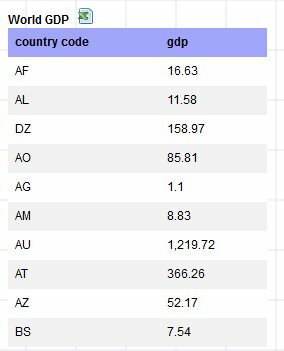 If you just store the country names then you will have to add a lookup table and join in the SQL query so that only the country code and the value is returned. We changed the connection to "Personal Cloud" and replaced the static JSON data array with our SQL query. 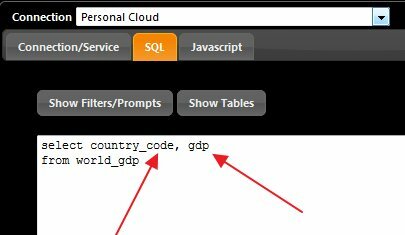 In the SQL, we make sure the country code is the first column. Changing Map colors is also a snap. To build the cloropleth, we need two colors to scale the values and spread them in different color buckets. The two colors are provided by the fill color and the line color on the top tool bar. The map is rendered as a SVG image and to provide interactivity it is layered above the parent widget. 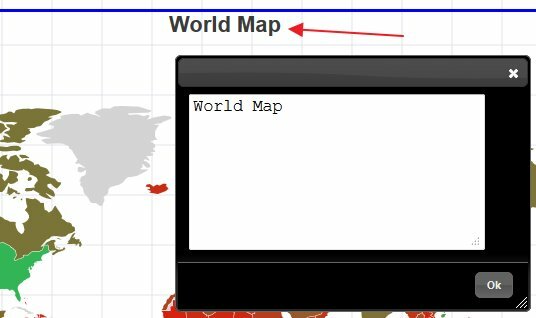 So to resize the map, the mouse cursor responds much better around the top title region. You can also add multiple maps on the same dashboard with varying sizes. There is no limit on this. 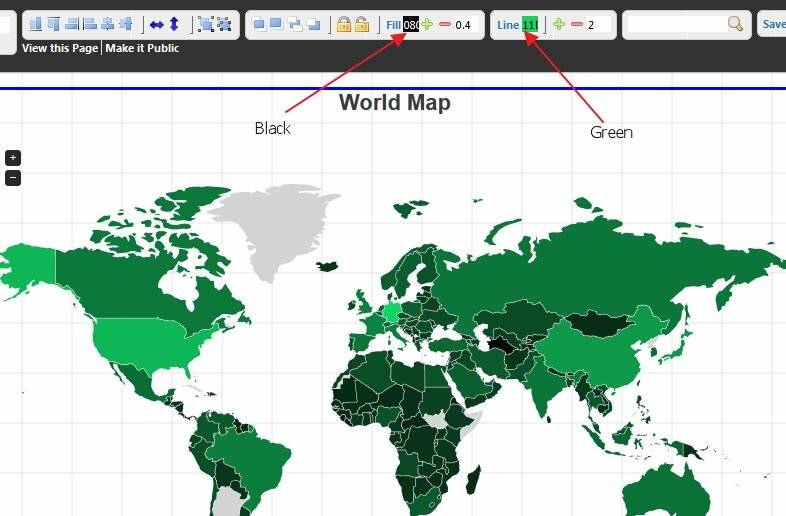 With the above information you should be ready to get started with building your first cloropleth with infocaptor.